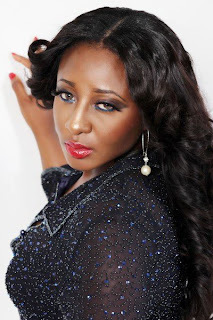 This is the current campaign on Nollywood actress Ini Edo‘s Instagram page. She has joined the long list of entertainers who opposed underage marriage in Nigeria. Other Nollywood stars who have spoken out against the controversial bill include Omotola Jalade, Charles Novia, Stephanie Okereke and many others. YES girl, um with you. Lets do this together as women, and all the men that are against this underage marriage. God Bless U,My Sister.AM WITH U. You are real, I like the spirit. Some fools have embarked on endorsing their signatures on this issue for selfish gains. Idiots. Please tell them Ini. I join this cause and God bless you all for standing against this immoral and inhumane practice! Yes thats right,if we girls,ladies and future mother can stop this i believe this will be the end of divousion and there will be a good percentage of responsible homes in nigeria. But dis early marriage tinx wont solve d problem at all..Even if shes married out as early as possible,sins must go on..so,Y not giv d child her rights 2 enjoy her parents atleast 4 som few yrs mor b4 endin up wit a stranger! !